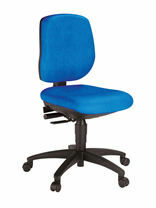 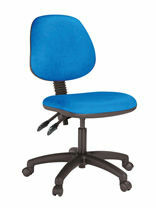 Both our chairs feature ergonomically contoured upholstery and backs adjustable for height and tilt. 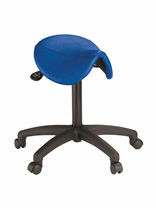 Both our chairs feature ergonomically contoured upholstery and backs adjustable for height and tilt. 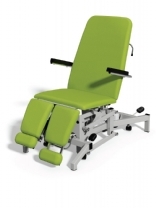 The Deluxe version offers a full syncro mechanism with seat tilt and improved comfort. 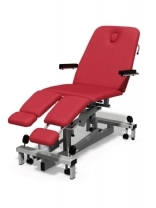 The Standard Stool has a comfortable 41cm diameter seat and an easy to use gas lift, whilst the Saddle Stool offers the very best in anatomically correct seating with the added benefit of tilting adjustment. 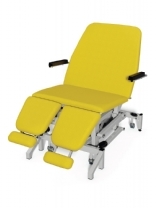 The Deluxe version offers a full syncro mechanism with seat tilt and improved comfort.